I played GTA V for about an hour before bed last night, and had dreams about violent crime all night. The only one I remember clearly had me standing at the exit to a strip mall trying to jack cars. First, a guy drove up in a white C4 Corvette ZR1, but he got away from me. Then, a guy in a yellow Ferrari 308 GTS, but he got away too. 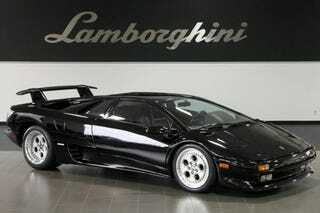 Finally, I pounced on a black Lamborghini Diablo VT, beat the crap out of the driver, and took off. When I woke up, I should have felt bad about dreaming I’m a two-bit thug, but instead, I felt bad that I didn’t actually bring home a Diablo last night.